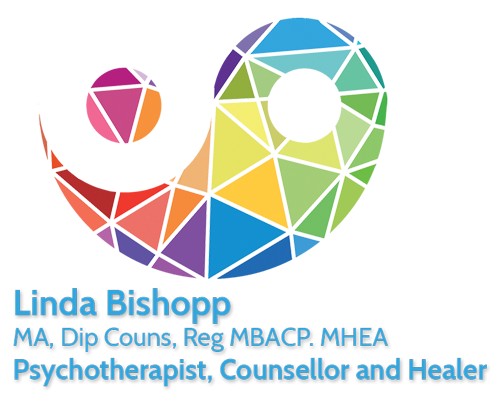 I specialise in working with people who are traumatised, though many may not even recognise that they are. I believe that many of us experience trauma(s) when young, even what may seem to be quite minor traumas, that affect us. We get so used to the traumatised effect that we come to believe that we have always been that way. But the trauma has changed us – affected the way our body responds to our environment, affected the way our emotions and intellect work, so that sometimes it is the trauma that is responding and we lose sight and sense of the ‘true’ or original self we were born to be. Responding in this way can lead to us experiencing even more trauma as an adult – our bodies can become used to this effect and we unconsciously seek more trauma to keep the effect in our body ‘topped up’. We can become dissociated on a permanent basis, and not realise that we are not fully present and living our lives. Trauma is a type of damage to the mind, body and soul that occurs as a result of a severely distressing event or a series of distressing events. It is often the result of an overwhelming amount of stress that exceeds one’s ability to cope with or integrate the emotions involved with that experience. The effects of a traumatic event, or repeating events, can be overwhelming and can last weeks, years, or even decades as the person struggles to cope, and can lead to serious, long-term negative consequences. Trauma can even emerge many years after the initial event, and can develop into Post Traumatic Stress Disorder (PTSD) or Complex PTSD. I work particularly with cPTSD, which is a series of traumas, or repeated abuses, and am familiar with, and understand, narcissistic abuse well. A combination of talking therapy, healing and Thought Field Therapy are extremely helpful in the event of cPTSD as these modalities can approach the trauma from mental, emotional, physical and spiritual perspectives; and provide strategies to cope with anxiety, like relaxation techniques, that can also be very supportive. This combination also works with ‘grounding’ you so that you eventually cease to dissociate. You can then fully feel your own feelings and become more sensitive to what is going on around you. In this way you are less likely to continue finding yourself involved in more trauma. It is unlikely that short term therapy would be helpful in this circumstance, but a commitment to longer term therapy would be necessary.